The film's stars weigh in on the serious subject matter. With teen suicide on the rise, it’s more important than ever for families to learn how to combat bullying to protect their kids and the issue is tackled head-on in Studio 11 Film’s latest release, Misguided Behavior. The powerful film executive produced by Rushion McDonald tells the story of two fathers, the teens in their lives and a decade old lie that affects them all. As a cop Michael Miller (Khalil Kain) is earnest and sure as he rises through the ranks of the police department. But as a father he is uncertain as he struggles with his wife about the best way to parent their teenage son (Elijah J) who is desperate to conceal some barely hidden abuse. The son’s secret we soon discover is the cruelty he frequently receives by a bully at school. However, this bully (Malek Payne) is not without his own torments. His own home where he lives with his widowed father (Carl Payne) is a source of unrestrained guilt, abuse and dark secrets. The tales of these teens, their fathers and the women who orbit their worlds leads to a shocking climax of ultimate decisions made by these to troubled young men. TheGrio caught up with two of the film’s stars to get their take on the movie‘s serious subject matter and what viewers should take away from the riveting story. “I have three kids. I have had to deal with this not just with my own kids but in conversations with other parents. This is something that is really prevalent and I was really intrigued by the subject matter. 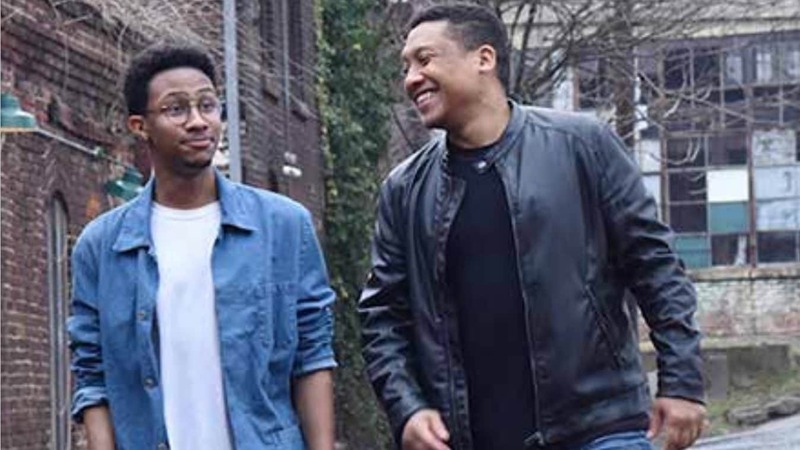 I don’t think this is something the Black community gets into a whole lot,” says Khalil Kain. According to Kain, parents need to recognize cues from their kids and make a real effort to find out what they’re dealing with. “You really have to pay attention to markers. When they’re upbeat and why and when they’re low and why. Settling for two-word answers can’t be enough. You have to push. It’s about listening and recognizing when your child needs you. That’s what creates a safe environment for them to trust you and talk to you,” he says. Elijah J echoed those sentiments and highlighted the tough task teens face when trying to convey their own experiences to their parents. “The internet and social media creates a lot of issues for young people to handle. It’s about having that safe space for young people. A lot of times, teens don’t want to get judged or talk about what they’re going through. Parents have to take the judgement out of the equation so their kids will talk to them about tough issues they’re facing,” says the 20-year-old actor and former member of Mindless Behavior. Elijah J says he connected to his character in the film on several levels. Misguided Behavior is a film the whole family should sit down and watch together in hopes of fostering a potentially life-saving dialogue. not the solution, but when the parents and the school o cials start to become accountable and the bystanders can feel comfortable enough to speak up, it minimizes the chance for youth to become victims of harassment and sustain mental damage and in some cases have thoughts of or commit suicide. Don’t be afraid to be held accountable. RESPONSIBILITY: Schools not only have a moral responsibility, but a legal responsibility, to protect our youth from harassment. Bullying, cyberbullying and related behaviors appears in the criminal code of a state that may apply to juveniles. Taking responsibility by implementing harsh measures may prevent bullying from happening and set examples for future behavioral situations. Teachers and school o cials need to become aware, as it is a major form of psychological cruelty. MANAGEABILITY: Management of bullying depends on students, parents, teachers and school administration recognizing there is a problem with bullying and taking quick measures to stop the bullying. Schools at all levels should mandate a zero tolerance for bullying. The victims should not suffer in silence and feel they will become an outcast when ling a report. The most e ective management methods are non-hostile and the reporting process empowers the victim or witness to identify the culprit(s), so the bullying process can be stopped.